Detroit is one city where the recent financial crisis is painfully evident. It’s a place you wouldn’t expect to find hope sprouting up like a flower bud from its casing, but this is what’s happening now. You won’t find men, women, and children crying over their plight at one particular housing development in Detroit. On a cold morning, you’ll find moms, dads, kids, and even grandparent volunteers with gloved hands, ready to clear some land, and create raised beds to plant vegetables. Soon they’ll celebrate their first harvest as part of a growing number of community farms and garden spaces being incorporated into housing projects throughout the country. Detroit’s garden project is called ‘It Takes a Village.’ It’s a private-meets-public project that should inspire the most embittered among us. Just the year prior, the housing project (a cluster of buildings with only a 30% occupancy rate) was facing foreclosure. With an investment from a developer called Ginosko Development Company, and the Federally-sponsored Neighborhood Stabilization Fund, along with the City of Detroit housing fund, 185 units were restored to provide subsidized, rent-controlled housing to people who were on the precipice of becoming homeless. This was hope enough for many in Detroit, but community members came up with an even better idea. They wanted to incorporate a garden. It has become a meeting space, the hub of entrepreneurial development, as well as a source for exercise and fresh food for residents. By partnering with local nonprofit, GrowTown, Inc., a crowd-funding campaign was launched to raise $27,500 which was matched dollar-for-dollar by Michigan Economic Development Corporation. What was once an urban prairie with rusted playground equipment and a bunch of weeds is now a working playground where children can play, and a vital garden, growing food and opportunity for community members. 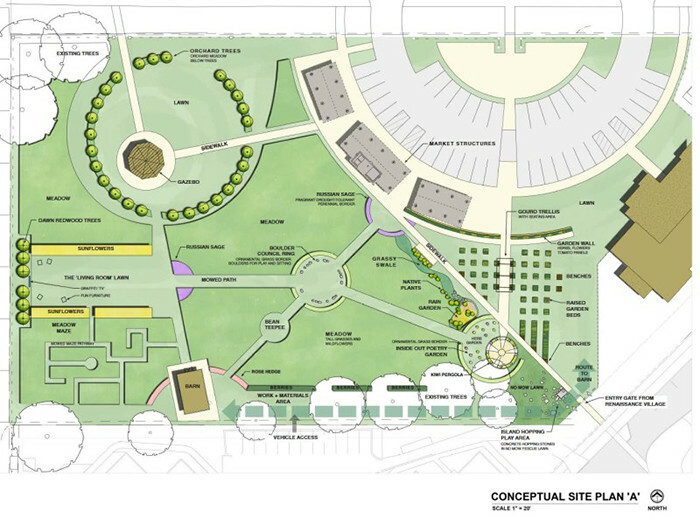 There are already plans to build additional economically-sustainable gardens in similar places throughout Detroit. One focus will be for low-income individuals to grow high-value crops on less than 1.5 acres. It’s a micro-economy that could flourish faster than Detroit’s automobile industry at its height. Shelter is a wonderful thing if you are homeless, but without food, part of the equation for a human being’s basic needs stays unmet. And it becomes no easier in a nation that is trying to outlaw feeding the homeless. 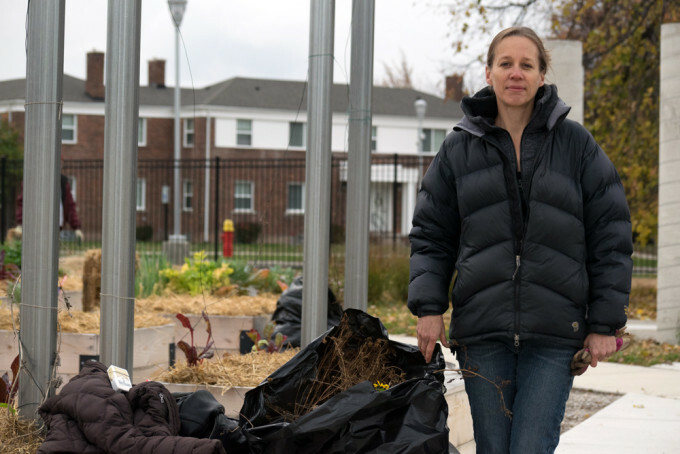 With these gardens, multiple needs are met – community, food, exercise, fresh air, and ample hope that Detroit and cities like it desperately need.